Dow Jones futures for Thursday, April 16, forecasted a 58-point decline from Wednesday's Dow close as investors maintain a tight eye on financial earnings and housing data, this is despite red-hot pre-market movers like Netflix and Unilever benefitting from an earnings bump. The DJIA Index rose 75 points yesterday on strong energy stock gains and improving confidence in first-quarter earnings. A strong U.S. dollar, winter weather, and a massive West coast port shutdown may not have affected companies in Q1 as much as previously expected. Revolving Door: Former Federal Reserve Chair Ben Bernanke will join Citadel Investment Group as a senior adviser. Bernanke joins the Chicago-based hedge fund just a year after being replaced by Janet Yellen. According to reports, he will advise fund managers on global economic and financial issues and will travel internationally to meet with investors. When asked about Americans' concerns about the revolving door between Washington and Wall Street, Bernanke said he was aware of public worries, but said that he chose to advise a hedge fund because his role will require no lobbying and that the Federal Reserve does not regulate Citadel. Housing, Jobs in Focus: Today, investors will keep focus on several key pieces of data, including weekly jobless rates and an update to U.S. housing starts. In March, the housing construction market recovered from a February slump caused by poor weather, while jobless rates remained near a 15-year low. Oil Prices Today: Oil prices reversed from yesterday when crude hit a 2015 high. Brent oil, priced in London, dipped 1.7% to hit $62.19 per barrel. Meanwhile, WTI crude, priced in New York City, slid 1.2% to hover above $55.19 per barrel. Earnings Roundup: A busy week of earnings reports continues as investors keep a keen eye on the financial sector. This morning, Goldman Sachs Group Inc. (NYSE: GS) easily beat quarterly earnings estimates. The financial giant reported quarterly per-share profits of $5.94, outpacing consensus expectations of $4.26. The firm also said it has increased its quarterly dividend from $0.60 to $0.65. Pre-Market Movers No. 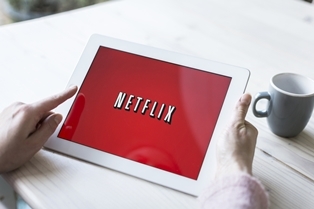 1, NFLX: Shares of Netflix Inc. (Nasdaq: NFLX) were up more than 11% on news that the company's subscription base surpassed 60 million and the firm announced quarterly revenues of $1.57 billion, a figure in line with analysts' estimates. With NFLX shares soaring, is now the time to buy the stock? For an answer to that question, read our analysis of the video-streaming giant moving forward. Pre-Market Movers No. 2, UL: Shares of Unilever Plc. (NYSE ADR: UL) were up nearly 5% this morning on news that the global consumer products giant beat first-quarter earnings expectations. The company cited emerging-market growth for its products, particularly in China. Unilever reported a better-than-expected 2.8% increase in first quarter sales, excluding the impact of a stronger dollar. Pre-Market Movers No. 3, UNH: Shares of UnitedHealth Group Inc. (NYSE: UNH) were up more than 3% on news that the company beat quarterly earnings estimates and raised its 2015 earnings outlook. The firm reported quarterly per-share earnings of $1.46, besting analyst expectations by roughly $0.11. Stocks to Watch No. 1, ETSY: Handicrafts online retailer Etsy (Nasdaq: ETSY) will ring the opening bell at the Nasdaq today on its first day of public trading. Etsy's IPO will be priced at $16 per share, setting a valuation of roughly $1.8 billion. The deal has become one of the most talked-about tech offerings so far this year. For everything you need to know about this public launch, read our full coverage right here. Stocks to Watch No. 2, YHOO: Reports indicate that Yahoo! Inc. (Nasdaq: YHOO) is planning on putting some of its Alibaba IPO cash hoard to work. The company is allegedly in talks to purchase local-search application Foursquare, a popular mobile platform currently valued at roughly $600 million. A deal would likely help Yahoo expand into mobile search. Global tech giant Microsoft Corp. (Nasdaq: MSFT) currently has a small investment in the firm. EIA Natural Gas Report at 10 a.m.
Atlanta Federal Reserve Bank President Dennis Lockhart speaks at 1 p.m.
Federal Reserve Chair Stanley Fischer speaks at 1 p.m.
Federal Reserve Chair Loretta Mester speaks at 1:10 p.m.
Boston Federal Reserve Bank President Eric Rosengren speaks at 1 p.m.
Fed Balance Sheet at Bullet at 4 p.m.
Money Supply at 4 p.m.